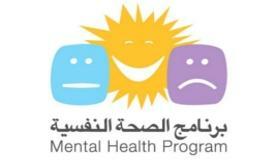 The Mental Health Programme has been following up the latest youth led developments in the region, and associating with social changes in order to develop accurate components to impact mental health and youth mental development in the Arab countries. High number of Trainings, workshops, resources development, orientations and meetings were held to convert these ideas into realities, to empower the youth by building their capacities, and to work with their surroundings (parents, teachers, social workers, youth workers, community workers, health workers) for a better impact on them. Expand the programme’s outreach to more target groups with the aim of disseminating knowledge and resources. Implement youth activities using these resources. Integrate Social Media such as Facebook, YouTube and Twitter in the Mental Health Programme to disseminate knowledge and to create a space for Youth to react and interact. The promotion of mental health is situated within the larger field of health promotion and positive youth development, and sits alongside the prevention of mental disorders and the treatment and rehabilitation of people with mental problems and disabilities, putting aside and fighting all the stigma and taboos related to mental health. ARC’s Mental Health Program builds upon the new trends of positive psychology (2002) that result in a shift of focus from dealing with mental health problems and disorders (focus on therapy) to the focus on prevention of behavioral, emotional, and psychosocial problems and disorders to widen the scope of concern and focus on mental health promotion and positive development.